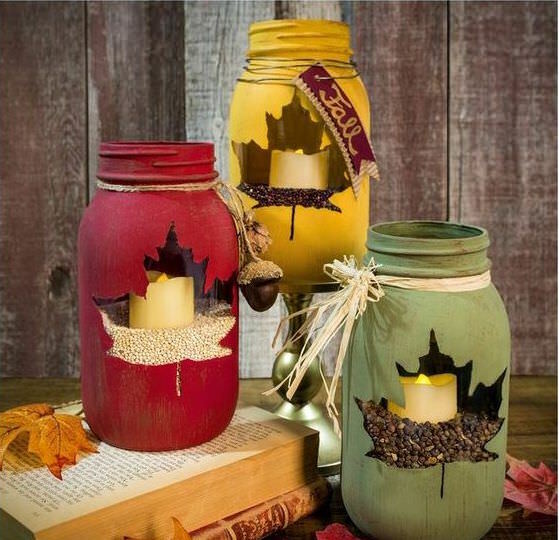 That’s why we give brought altogether some creative, easy and inexpensive holiday candle projects. This is a beautiful fall décor. The crisp, warm colors are so inviting. It doesn’t take time to make one. Start by sketching and cutting the maple leaf design on adhesive vinyl. Apply to the Manson jar and paint the jar in three coats with the color you want, let each of the 3 coats to dry completely then peel away the vinyl leaf and get rid of any uneven ends. Include some corn kernels at the base and put the votive candle in. Finalize with some twine or ribbon around the top of the jar. Who would have thought that a lowly canning jar could be arty? How? 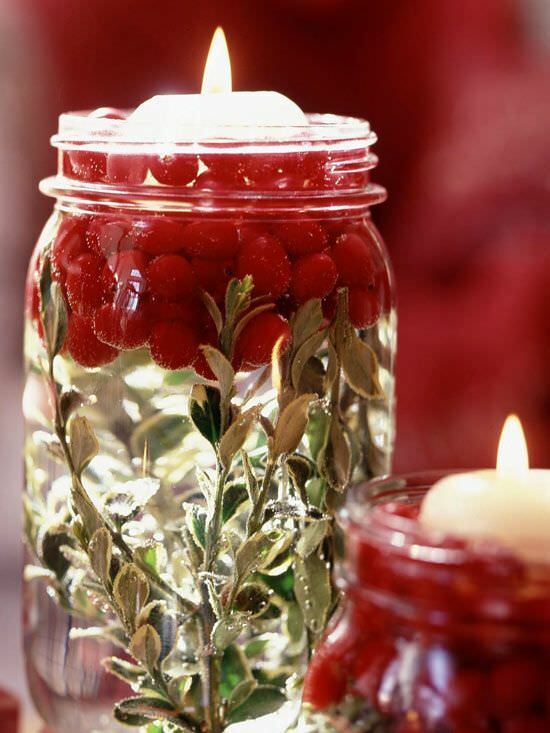 It is very simple; wash and dry jars and layer the bottom with the greenery of your preference then putting in a handful or two of cranberries. Add water into the jar, resulting to floating of cranberries at the top. Inset a floating candle. Visit Green Yard to read the full post.